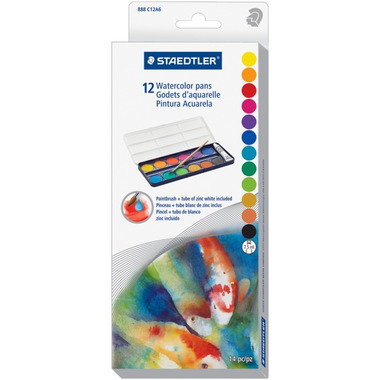 Staedtler Watercolour Paint Pan offers high pigmented colours that can be brushed with water for smooth colour washes. The brilliant colours blend easily to create high-quality works of art, designed for use on watercolour paper or board. The washable formula cleans up easily with water. Great. You can never go wrong with Staedtler products.